Intense Pulsed Light (IPL) photorejuvenation treatment is a laser that enables us to offer you remarkable results on a range of skin concerns such as age and sun spots, freckles, birthmarks, rosacea and broken capillaries. The IPL photorejuvenation treatment works with your skin type to remove your imperfections and stimulate collagen and elastic fiber production over a sequence of treatments. It is a simple “lunch time” laser treatment performed at our office located in Troy, MI. The treatment removes skin imperfections with no downtime. To ensure your utmost comfort, we apply cold coupling gel on the treatment area. Depending on your specific concern, you can expect the session to last 15-30 minutes. You may experience a warm sensation as the light is applied to the skin and a small pinch, but the treatment is fast and minimally uncomfortable. 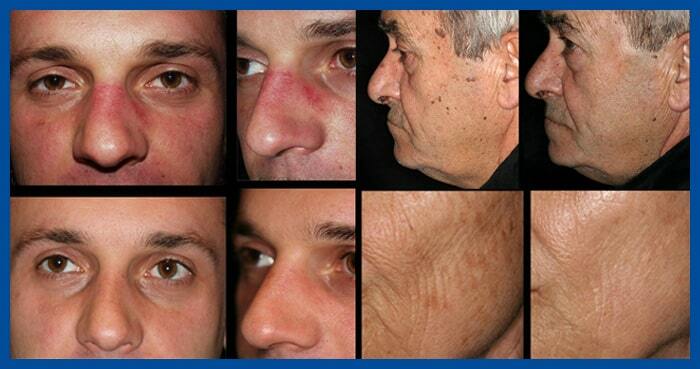 Some skin concerns such as shallow pigmentation and age/ sun spots may be cleared with as few as 1-2 treatments. Typically 2-6 sessions with 2-4 weeks in between are needed to achieve optimal results for most skin concerns. Visible improvement of overall skin appearance. Clear skin that needs minimal makeup to smooth out your skin tone, you will notice healthier clear skin with little or no pigment remaining. Enjoy a fresh new you. This procedure can be performed by Dr. Clarissa Kroese or Raquel Merlini, RN.